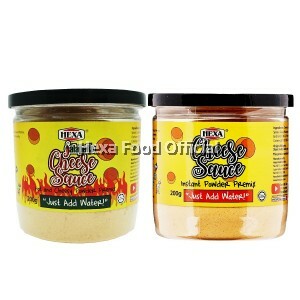 Can make up to the 1000ml sauce with each 200gr bottle of cheese powder!!! 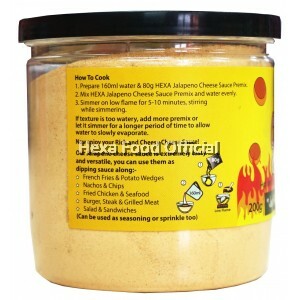 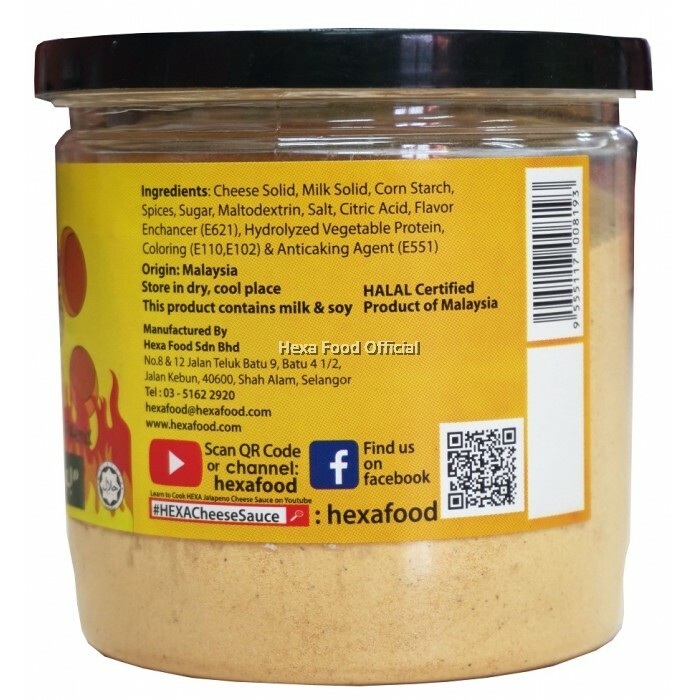 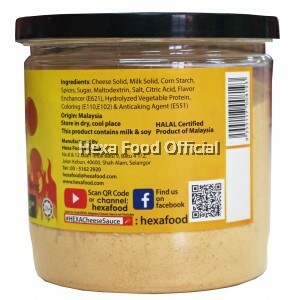 · HEXA Cheese Sauce Powder Premix (Jalapeno) contains Chili powder and it's spicy. · Goes great with potato wedges, fried chicken, French fries. · All additives are of plant, synthetic, and animal origin. 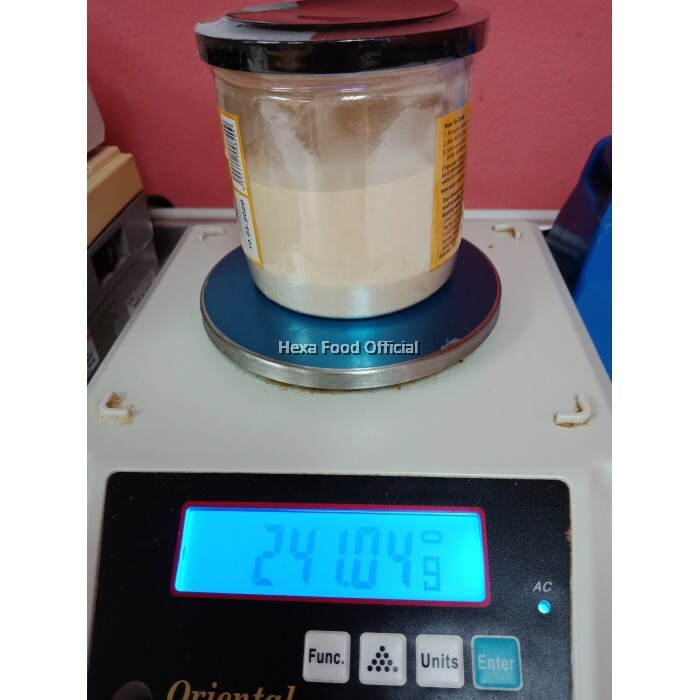 Keep in a clean, dry and cool place. 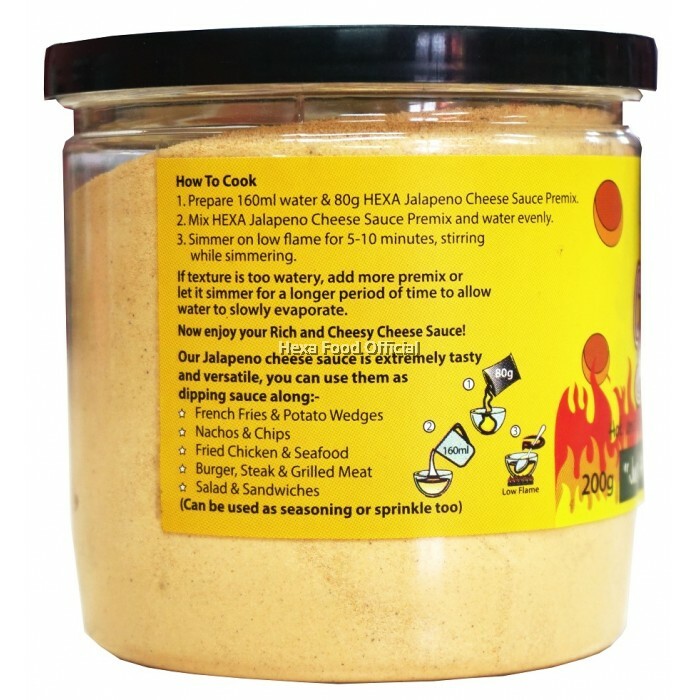 Better to keep in the fridge.